Are you looking for a wonderful dentist serving Southside? It’s just a 5 minute drive over to Dental Center of Jacksonville from your neck of the woods. Once you’re here, you and your loved ones will be treated to high quality comprehensive care from the comfort of our modern dental practice. 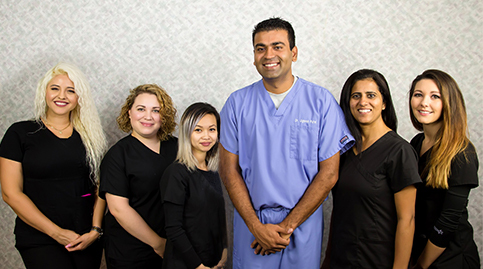 Dr. Jignesh Patel offers a range of services for patients of all ages -- and our team looks forward to welcoming you to your new dental home! We want to help our patients relax when they’re at the dentist, and we have a menu of amenities to assist in that effort. Take advantage of neck pillows, warm towels, and our beverage bar while you’re here. Feel free to sit back, relax, and know you’re in great hands when you’re under our care. Anesthesia helps your jaw go numb so you don’t feel anything throughout your treatment -- and with DentalVibe, you don’t even have to experience that initial prick of the injection. Topical treatments ensure you stay comfortable before, during, and after your treatment. Visiting a dentist who can provide all the services you and your family need from the comfort of one office makes your life a lot easier. When you’re under our care, you won’t have to worry about getting referrals for more complicated treatments. Our team provides everything from regular checkups and cleanings all the way to dental implant placement and wisdom teeth extractions. Patients of all ages are welcome with open arms at Dental Center of Jacksonville. From helping young children feel comfortable during their very first visits to quality denture care for seniors, we truly do it all! 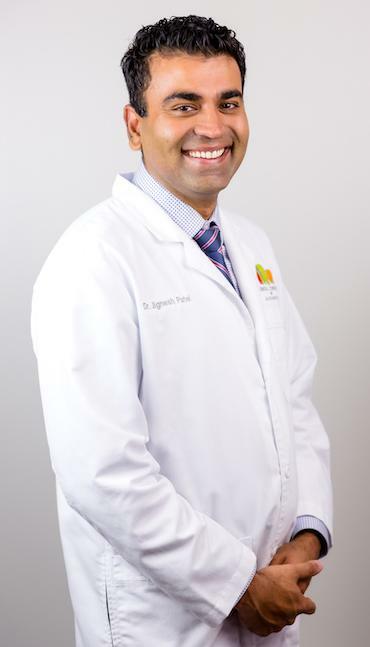 Dr. Jignesh Patel looks forward to welcoming Southside families and friends in our comfortable, modern dental practice. He also earned his dental education from the Nova Southeastern University in Fort Lauderdale, FL and has continued to expand his expertise and knowledge of dentistry ever since. Dr. Patel believes the key to good dental care is examining a patient’s entire background in treatment plans. He always strives to provide outstanding patient comfort for extraordinary dental experiences. Dental Center of Jacksonville is a quick drive south on I-95 from Southside. We’re located at 6144 S Gazebo Park Pl. #210 Jacksonville, FL 32257. You’ll find us comfortably situated beside Allstate Insurance, Perry-McCall Construction, and just down the street from Regal Cinemas, Steak ‘n Shake, and Benito’s Italian Cafe and Pizzeria. If you get lost along the way, feel free to give us a call at (904) 300-2876 -- we’ll lead you right to our door! If you and your family are looking for a new dental home, it’s time to get in touch with the team at Dental Center of Jacksonville. We are committed to the health and happiness of all of our patients, and we can’t wait to start you on the path toward lasting oral wellness. Please feel free to request an appointment today.